This is a brief intermission from my fall sewing plans. 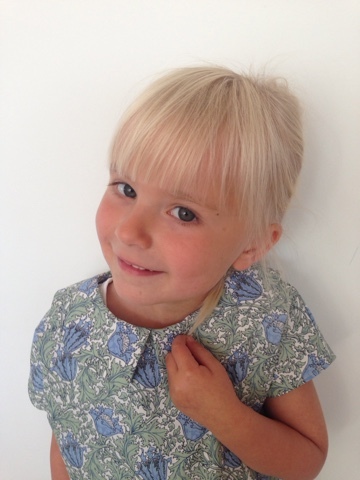 Sigrid needed a new dress for a birthday party, I had this liberty fabric in my stash and along came the Maren Dress Pattern from The Sew What Club. It was meant to be. 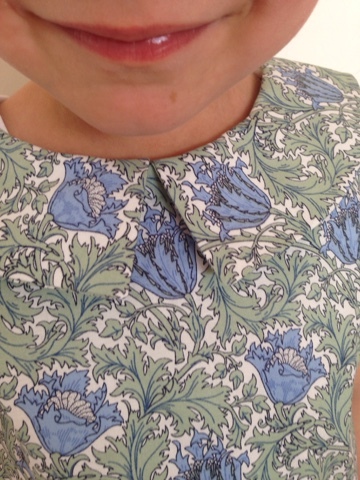 The dress has a small peter pan collar, kimono sleeves and a dropwaist design with pleats. It comes in size 2-12 years old. I don't know if you have heard of The Sew What Club? It's a subsription for pdf patterns. You get to choose between the childrens edition with two patterns a month or the women edition with one pattern a month. 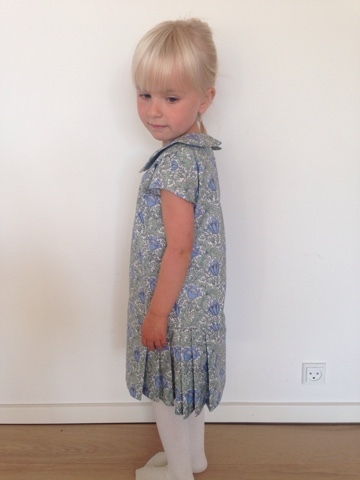 The patterns are designed by different indie designers - The Maren Dress is designed by Hey June Handmade. With two girls it's great getting new inspiration on what to make for them. 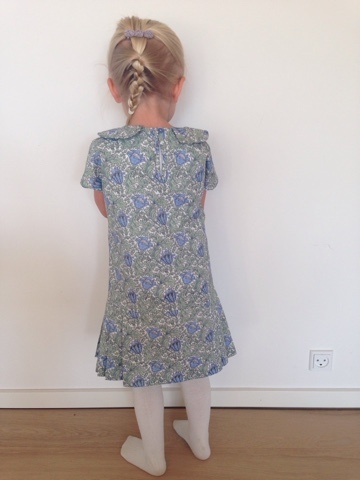 I didn't think the Maren Dress pattern was to Selma's (10 years) liking, but she has requested one in chambray. 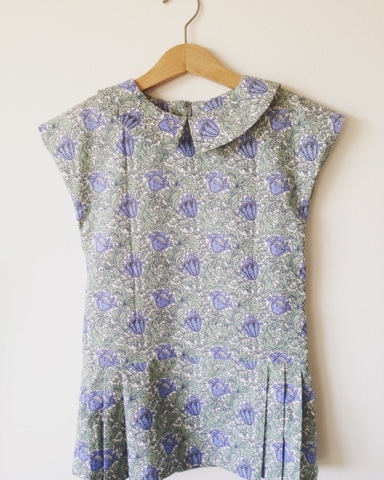 I guess a chambray version will be less cutesy than this floral liberty version. Better get on with that. The dress came together easily. I didn't follow the instruction, but they appear to be clear. I changed the back keyhole to a smaller slit, since the fall season here in Denmark require a vest underneath. I subsequently changed the back facings and added a small roleau and button. Here you can see the pleats. They are distributed towards the sideseams. 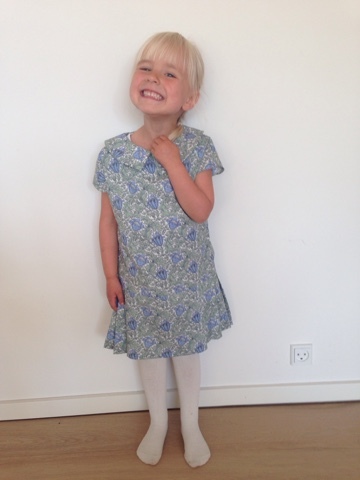 Sigrid was so happy with her new dress. I really should make more dresses while she still prefer the handmade to the storebought dresses. I have a few items to show you from my fall sewing list as soon as I get photos. I guess the list wasn't quite complete, since new patterns suddently jumped the queue.. Sewing is a hobby so it's okay to bend the rules sometimes right? Do share your fall sewing plans. What are you working on?